A CURT trailer hitch is the link to your lifestyle, equipping your vehicle for work or play and empowering you to pursue your passion. Our trailer hitches are designed, manufactured, finished and tested in the USA to give you and your crew confidence for the road ahead. 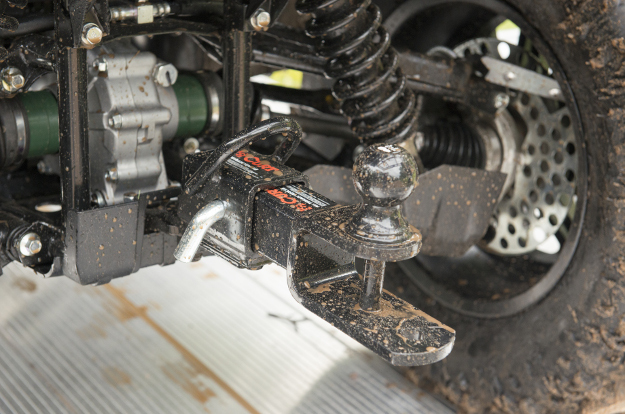 Our custom-fit hitch line is made up of both rear mount hitches and front mount hitches. We also offer multi-fit hitch options, bumper mount hitches, weld-on hitches, RV hitches and ATV / UTV hitch solutions. 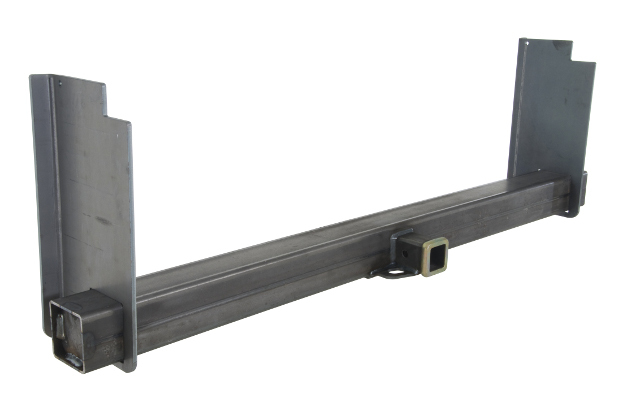 Each CURT rear mount trailer hitch is made with a vehicle-specific design. 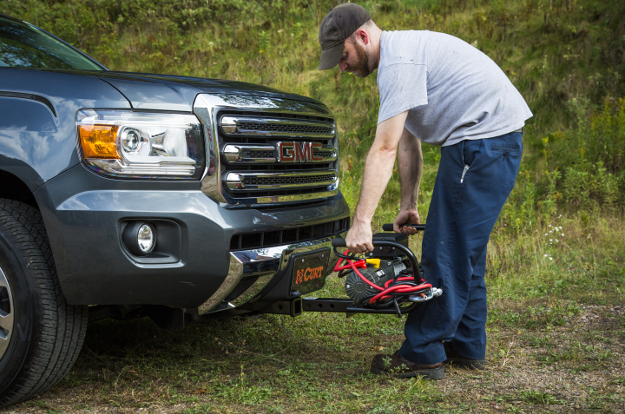 This means the tow hitch is engineered for a unique vehicle application, ensuring the best fit, highest towing capacity and easiest possible installation. We manufacture over 1,000 different custom receiver hitch designs to provide you with a dependable and functional extension of your vehicle. 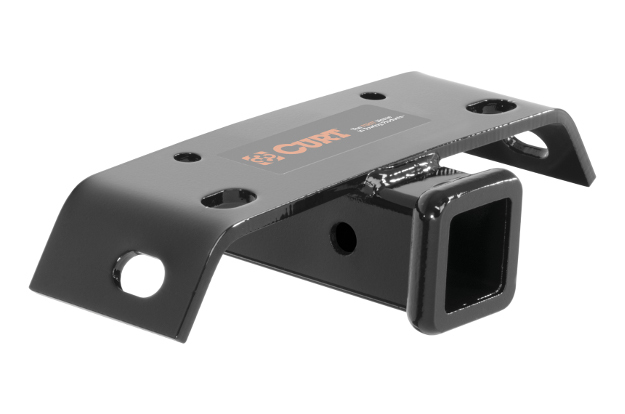 Every CURT rear mount receiver hitch falls into one of five trailer hitch classes. Hitch class is based on weight ratings and the receive tube size. A CURT front tow hitch is a useful addition to a truck, Jeep, van or SUV. 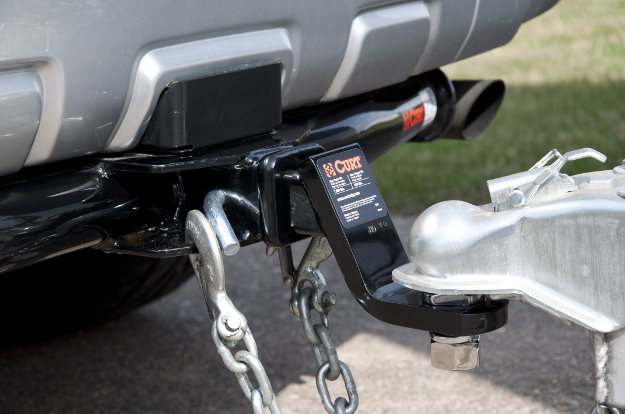 With a 2" receiver and 9,000-pound straight-line pull rating, a front hitch can be used to attach a variety of accessories, including a snow plow, winch or even to hitch up a trailer when launching a boat or parking in a tight spot. Every CURT front trailer hitch undergoes the same rigorous design and testing processes as our rear mount hitches, and each one is made vehicle-specific, right here in the USA. A multi-fit trailer hitch is an adjustable trailer hitch option if a custom hitch is not available for your vehicle. 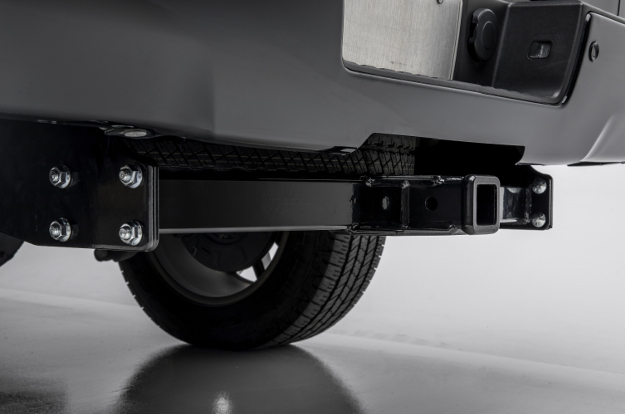 Although multi-fit hitches do not offer the same fully integrated design as a custom trailer hitch, they are optimized for towing strength and fitment. These adjustable trailer hitches fit a wide variety of vehicle applications and are equipped with industry-standard receiver hitch sizes. A CURT bumper hitch is simply a receiver hitch that mounts onto a vehicle's bumper. They are typically used on larger trucks and SUVs and are rated for light-duty and medium-duty towing, depending on the model. CURT offers a small selection of bumper hitches as well as RV bumper hitches. Each one is designed, manufactured and tested in the USA and is equipped with a standard 2" receiver. For a truly DIY option, a CURT weld-on trailer hitch features an adjustable design and a weld-on frame to weld directly to the vehicle's frame. Weld-on hitches are rated as class 5 hitches and come with a standard 2" receiver. They are designed for use on large pickup trucks, commercial vehicles and other heavy-duty applications. For towing with your RV, CURT offers a number of adjustable RV trailer hitches, allowing you to enjoy your camping adventure or cross-country trek to its fullest. Our RV tow hitches provide a standard 2" receiver at the rear of your RV, bolting onto the frame with adjustable side plates and offering a reliable connection for towing a trailer or dinghy towing a vehicle. 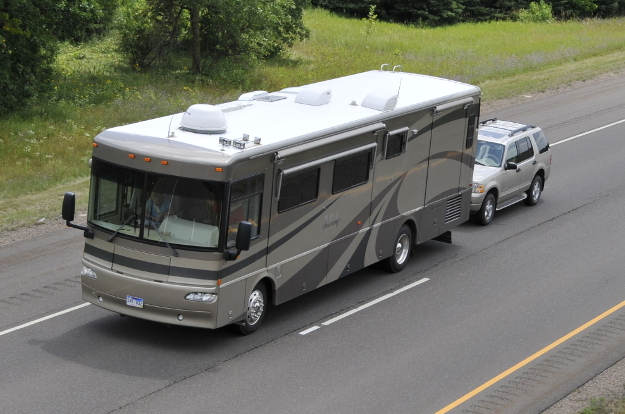 We also offer a number of RV towing accessories to fully equip you for the road ahead. Transforming your UTV or ATV into a useful work machine is easy with CURT ATV towing products. We offer three-in-one ATV ball mounts that provide a standard trailer ball, ball hole and clevis pin for various types of towing. We also offer an ATV tongue adapter that allows you to turn the tongue on the rear of your UTV or ATV into a standard trailer hitch receiver.